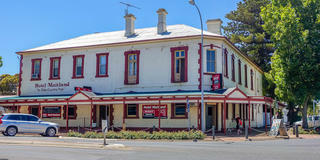 Located approx 168 kms from Adelaide via Ardrossan and only 22kms from the superb seaside town of Pt Victoria. •	Town population over 1000 residence. •	Very easily operated bar, bottleshop, gaming room, dining room and public bedrooms. •	10 poker machines and all weather beer garden. •	Huge customer carpark included in the sale. •	12 guest bedrooms and owners residence of 6 bedrooms and 2 lounges. •	Perfectly suited to one or 2 couples, family or sole trader. Fantastic opportunity to buy a Freehold & Business package or just the Leasehold & Business; the choice is yours! The town has a Medical Centre, Aged Care facility, Schools to year 12, Banks and a Police Station etc. The hotel is pleasing in presentation and will impress on inspection. 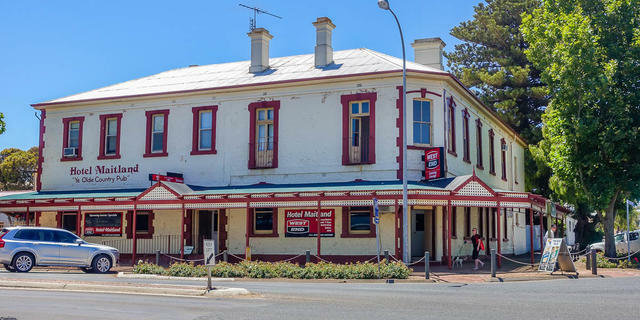 A great family hotel in a most appealing Yorke Peninsula township.